Residential Windows - Description | W. W. Norton & Company Ltd. 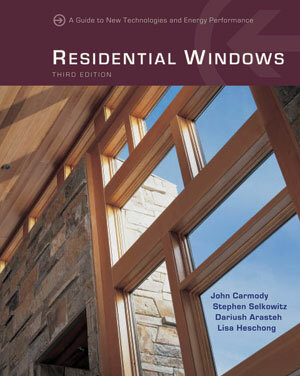 The third edition of Residential Windows: A Guide to New Technologies and Energy Performance provides updated and expanded information on window properties and technologies, as well as new sections on such key topics as window installation, energy efficiency, and building codes. For this latest edition, all of the energy performance data have been revised, based on the latest simulation techniques and industry-accepted assumptions. Residential Windows provides an overview of new window products for consumers, designers, and builders, as well as regulators, standards developers, utilities, and the researchers, manufacturers, and suppliers in the window industry itself. It is an essential resource for anyone considering purchasing or installing new windows. A guide to essential window design issues, technologies, and applications for designers, specifiers, and builders.